It turns out that exercise can do more than slim down your waistline and boost heart health. It might also make what's inside your gut healthier, according to a new study by San Francisco State University. Durk (who received his master's degree in kinesiology last December) recruited 20 men and 17 women, mostly from the SF State campus, and tested their cardiovascular fitness on a treadmill. 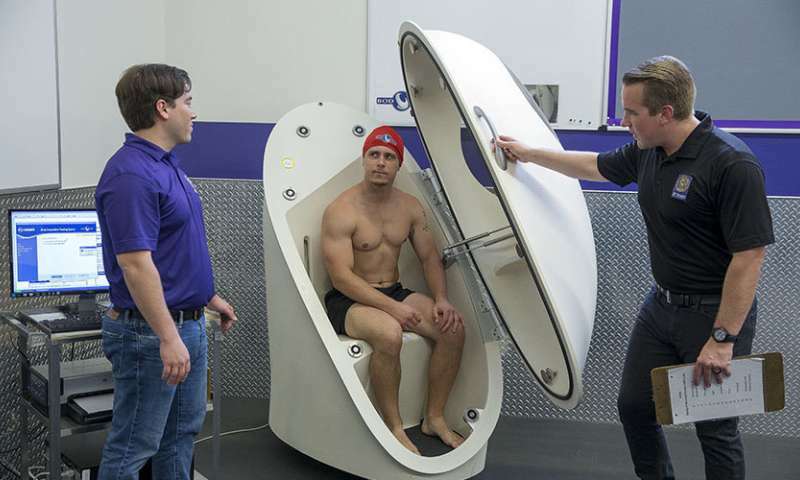 He also assessed their body composition in the lab's BOD POD, an air displacement chamber that determines a person's fat and fat-free mass. Participants kept food logs for seven days and provided stool samples at the end of the week. The HER Lab then extracted DNA to analyze the bacteria composition in the samples. The researchers were investigating the ratio of bacteria called firmicutes to another group, bacteroides, which can be used to gauge overall gut health and composition. "When we say that phrase, we think of it as meaning that exercise will help people stay healthier and live longer. But you don't think about your gut bacteria," Durk said. "We now know that exercise is crucial for increasing beneficial bacteria in the gut." According to Durk, findings from this study and other studies about the gut microbiome could eventually be used to create individual exercise prescriptions to improve gut—and overall—health. "We're not there yet," he said, "but this helps create that foundation."